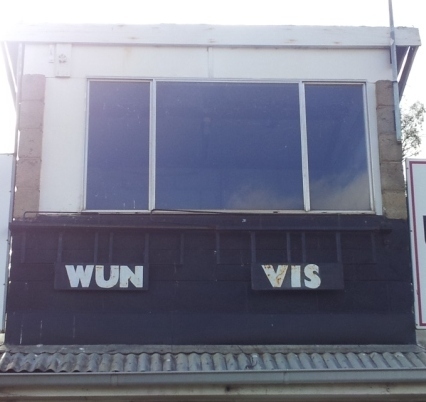 There are no numbers on the Wunghnu scoreboard because there are no games at Wunghu. There are no games because there are no teams. There are no teams because there is no longer a Wunghnu Football Club. Or a netball club. Or a tennis club. Or a cricket club. The Wunghnu Football Club was formed in 1885 and went into recess in March 2011. Wughnu won seven senior premierships, the last in 1973, a seven-point victory over Waauia. Wunghnu’s Joe Sellwood played 181 VFL games for Geelong, including the 1937 premiership win over Collingwood. 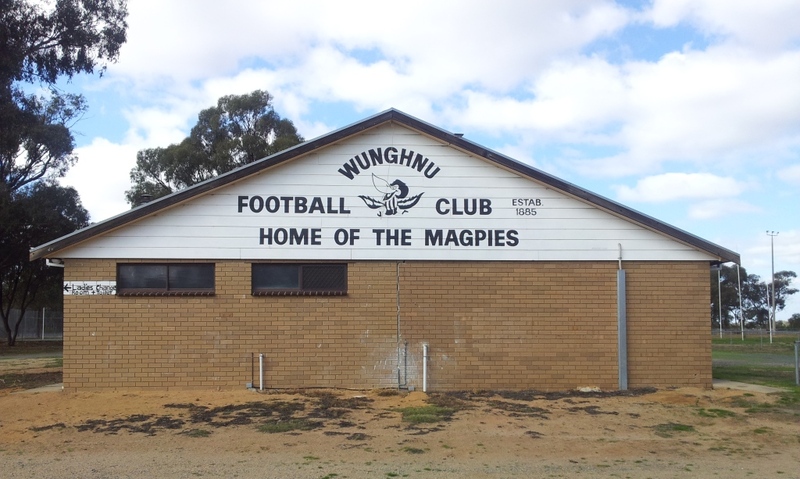 Josh Barnstable, of The Footy Almanac website, wrote an excellent piece about Wunghnu two years ago. He writes of the township itself: It is a small town, consisting of a pub, a convenience store, a football oval, netball courts, a car wreckers yard, the delicatessen shop that serves buffalo meat, the ‘home of the best vanilla slice’ in the world and the famous water tower with the popular mural of a sheep, stating ‘The Smallest Sheep Station in the world’, poking fun at the pronunciation of the town (One-Ewe). Highly recommended. 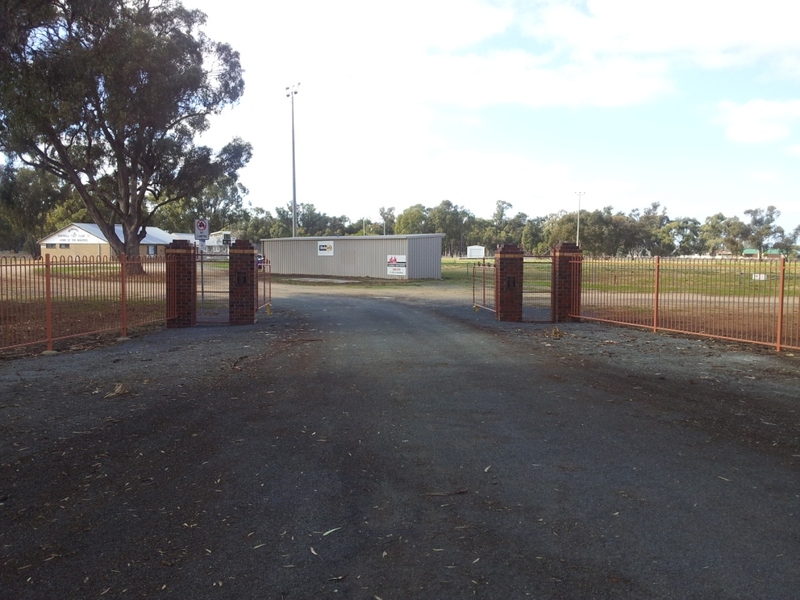 Wayde Petersen’s other Scoreboard Pressure posts: Avenel, Longwood, Mooroopna, Murchison and Nagambie.